Good location, busy but not crazy part of town, nice and quiet at night. Hosts were great, couldn’t do enough for us!! Quiet place to stay. Nice view on mountains. Parking lot in front of apartment. We had an long way to this place and arrived in 5 a. m. and landowner met us with no problem. Very nice and pleasent owners, happy to assist at anything. The owners were superfriendly. They helped us in anything. The small room was super comfy. Our host was very kind. We could not find the exact hous nr, so we called her and she came and got us at late hour (10-11 pm)... She helped us even where we can find restaurant, what is open in late hours. Room looks like, just on the pictures. Everything!!! Very good owners, Husband and wife!! Very good money value. Bed was confortable and room was clean. Good wifi connection. Host was very kind and friendly on our arrival. The local shop in front of the house is very handy. 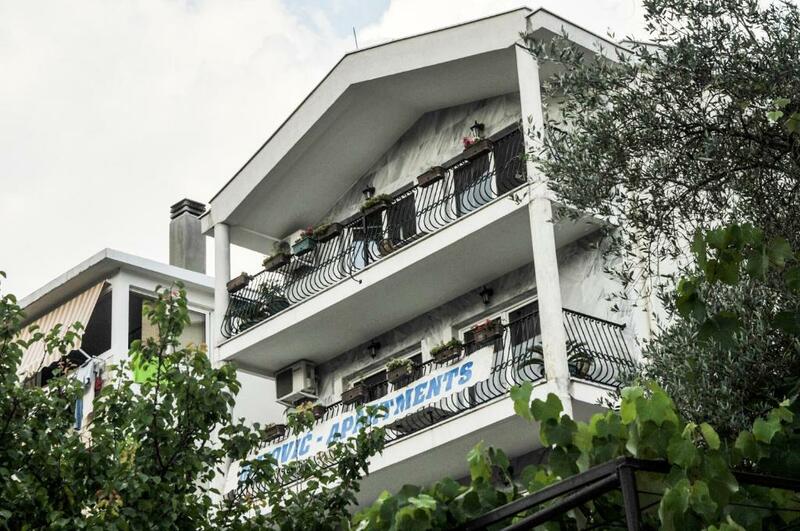 Lock in a great price for Mijovic Apartments – rated 9.1 by recent guests! Mijovic Apartments This rating is a reflection of how the property compares to the industry standard when it comes to price, facilities and services available. It's based on a self-evaluation by the property. Use this rating to help choose your stay! 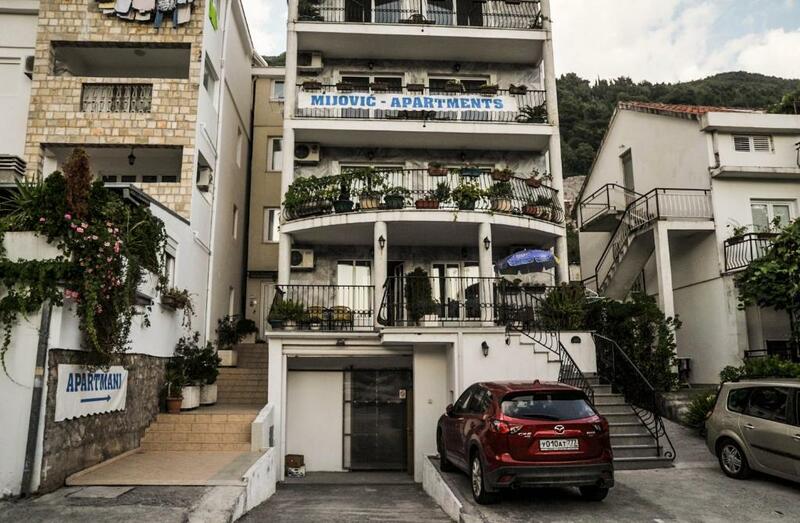 Mijovic Apartments are located only 1,300 feet from the 5,250 feet long, popular beach in Budva, the Slovenska Beach, and they were opened in 2006. Free parking is provided, bike rental can be arranged, and the apartments are air conditioned and have free Wi-Fi. The Apartments are in a peaceful area, 1.2 mi away from the old town, with a bus station and a bank nearby. The main promenade with restaurants and shops, providing anything you may need for a holiday, is about 1,150 feet away. When would you like to stay at Mijovic Apartments? Fully equipped kitchen, big wooden bed. Please note there is no balcony. This studio has a kitchenette and is suitable for up to 3 adults or a 2 adults and 1 child. This apartment has one room with a bridal bed as well as one single bed. In another room you will find 2 sofa beds. There is also big balcony with a fantastic sea view. The kitchen offers anything you need for cooking, with new and modern furniture. This studio has a balcony with views of the surrounding landscape. This studio has a balcony, air conditioning, a private bathroom and kitchenette. "Mijovic apartments"is family-run property and somebody of the family Mijovic is always there to give information. WE can help our guests in organization tours to St.Stefan and other beaches as Kamenovo,Mogren,Jaz and Ploce.Also we can organize for them wine tours in Virpazar,than tours to Ostrog,kanyons,Kotor,Cetinje,Lovcen and other places they are interested to see. House Rules Mijovic Apartments takes special requests – add in the next step! Mijovic Apartments accepts these cards and reserves the right to temporarily hold an amount prior to arrival. Wi fi was a little unreliable but only at certain times. Room was a bit small and A/C stopped working during the night (during Europe heat wave). Unfortunately location is poor if you are not driving in Budva (we were not). About 30 minutes walk to the Old Town and centre, but at least it is a very pleasant walk along a promenade filled with tempting restaurants and cafes! Apartment is in a leafy suburb, near the noisier end of the beach, but far enough inland to be very quiet at night. Small terrace outside window, with table, to sit and read, although the view is just other apartments and the mountainside. But you may get lucky and have a sea view!